Hello. This is getting a bit awkward. Like running into that friend you’ve been ignoring because you found this other friend who shares your obsession for Sweet Valley Twins and Lays Sour Cream and Onion. Never happened to you? Me neither 😬I’ve spent so much time over the last month trying to think of a way to smoothly, casually slide back in here, but as I’m quickly learning, there is no particularly suave comeback when you’ve been MIA for a few months. But I do have a stellar recipe here, that I am hoping will somewhat compensate for my elusiveness. It’s the recipe to one of my favourite cakes, an apricot upside down. I can count on my fingers the number of cakes I’ve met in my life, that I’ve ever truly loved, and this is definitely in the top 3 category. It’s a sturdy number that has the most gorgeous caramely top, studded with plump dried apricots. It sits firmly and unapologetically between cake and dessert, and is all the better for it because this means that you can eat it after dinner and for breakfast the next morning, because it has fruits, duh. It also happens to be one of those cakes that looks way harder to make than it actually is, and in reality, the most time consuming part of the whole thing is arranging the apricots in neat concentric circles (which is to say, it isn’t hard at all!). 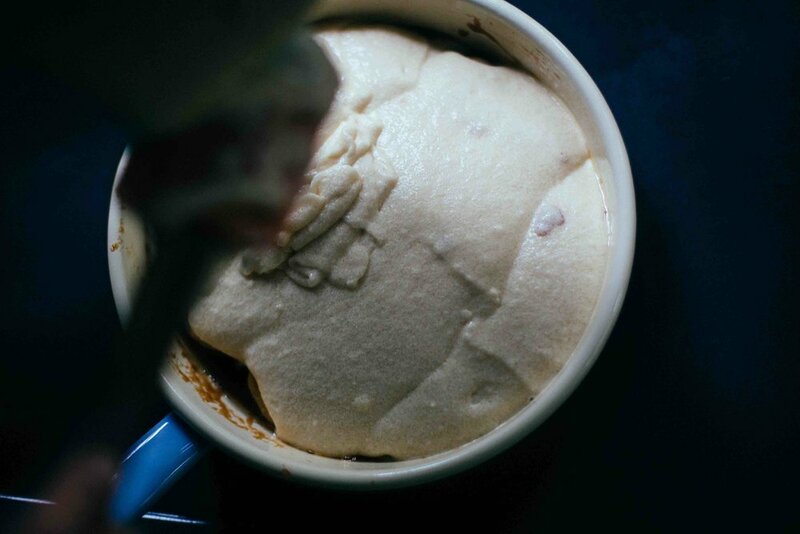 It’s been raining like crazy here in Bangalore, and it is the perfect excuse to stay in and bake. Best paired with my current obsession. In a sauce pan, add the brown sugar, with a tablespoon of water and let it caramelise on a medium heat, swirling it around (not stirring! ), every few minutes. As soon as the sugar has melted, add the butter and mix. Pour it into a greased 9-inch round cake tin. 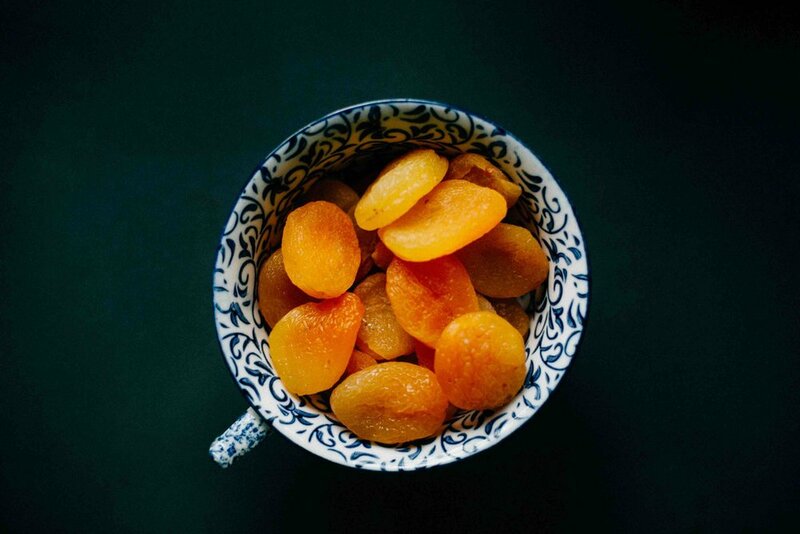 Arrange the apricots in concentric circles on top of the caramel (refer to picture above). Sift the flour with the baking powder and keep aside. Beat the butter and sugar until pale and creamy. Add the salt and vanilla essence and beat to incorporate. Add the eggs one at a time, till it is thoroughly mixed into the batter. Next, add the flour in three batches, alternating with the milk. Pour the batter over the apricots, and smooth it out so that it’s level. Bake for 40 minutes, or until a toothpick inserted in the centre comes out clean. Let the cake stand for 5 minutes, and carefully turn it out onto a serving platter. Serve warm with a dollop of cream.